My cardi isn't going so well... Because i made a fatal error in my template, i had to rip both the front panels:( I was so angry at myself, and totally disappointed to throw away 3 weeks of work, i have put it aside for a while. 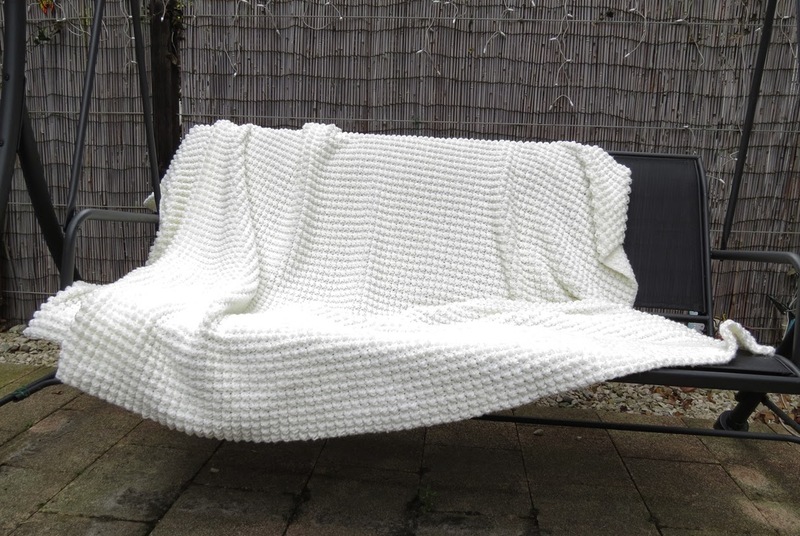 In the process of making the cardi, i designed a new stitch, which i used to crochet a throw blanket. 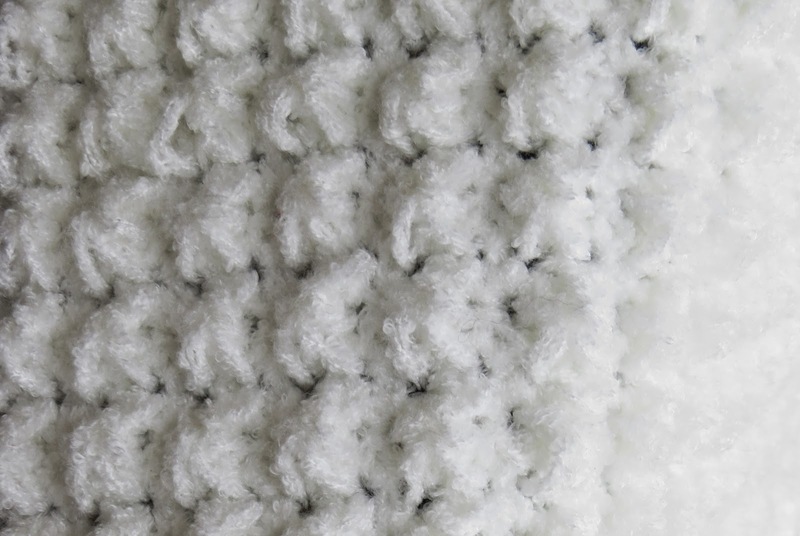 The name of the blanket is First Snow, because in this stitch it looks like fresh fallen snow. Beginning Bubble stitch: ch 1, pull up loops in the following sts: in the 1st sc, 1 loop in the 1st sc one row below, 1 loop in the next sc one row below, one loop in the next sc in the working row, (5 loops on the hook), yo, pull through 4 loops, ch 1, 1 sc in the 1st sc of the working row (where the first loop was pulled) 1 sc in the 2nd sc of the working row (where the 4th loop was pulled). Bubble stitch: Pull up loops in the following sts: in the next sc in the working row, 1 loop in the 1st sc one row below, 1 loop in the next sc one row below, one loop in the next sc in the working row, (5 loops on the hook), yo, pull through 4 loops, ch 1, 1 sc in the 1st sc of the working row (where the first loop was pulled) 1 sc in the 2nd sc of the working row (where the 4th loop was pulled). Row 1: (WS) sc across the row. Row 2. Ch 1, make a beginning bubble stitch followed by bubble stitches across the row. Row 3. Ch 1, and sc across the row. Repeat rows 2 and 3 for however many rows you want in your motif. *Note: This stitch takes a lot of yarn, because every row is worked twice. Once you get the hang of it, it's a very easy stitch to make. I hope you have just a smuch fun with it as i did!